Michigan Students to See Shorter Standardized Tests in 2016 | Gary G. Abud, Jr. This entry was posted in Assessment Education Leadership Michigan Policy and tagged Assessment Education MDE Michigan MSTEP Testing Tests on August 21, 2015 by Gary G Abud Jr.
On Thursday August 20th, the Michigan Department of Education publicized changes to its state assessments for elementary, middle, and high school students beginning in spring of 2016. After its first year of implementing the new Michigan State Test of Educational Progress (M-STEP) to students, the Office of Assessment and Accountability at the Michigan Department of Education (MDE) is making changes to their testing process for upcoming school year. The new M-STEP was quite different than its predecessor test, the MEAP, and had more components, including some constructed-response tasks. Standardized assessments are already a test of student stamina, but the time required to complete last year’s M-STEP required extraordinary endurance on the part of kids. Last year, I worked with educators in my district to create this overview of the M-STEP, which outlines the major components of the test and the time drain it had on schools and students. Under the direction of new Superintendent of Public Instruction Brian Whiston, who was previously Superintendent of Dearborn Public Schools, the MDE worked to reduce the duration of, and number of components on, the new state test. The major changes for the 2016 spring testing cycle were based on feedback that the MDE solicited from students, parents, and educators this past year about their testing experiences at schools across the state. Among the biggest differences in the state assessments, which schools can expect to see next year, are reductions in length of testing for students in grades three, four, six, seven, and 11. The testing times could decrease by as much as eight hours for some students! This will happen because of the elimination of select components of the test that were piloted this year. In grades three through eight, all students were required to complete a performance task in English Language Arts and Mathematics this past year. These multi-part questions ask students to analyze several sources of information (poems, graphs, data tables, essays, etc.) to complete a series of different problem-solving activities, such as compose written explanations to solve a story problem or a full essay that compares two pieces of writing. This year, the performance task for English Language arts is being eliminated in all tested grades except grades five and eight. Perhaps the greatest impact these changes could have, however, will be seen in 11th grade. Last year juniors took the ACT for their college-readiness exam as well as the state’s own assessment to measure achievement on state standards. This effectively doubled the amount of testing in areas like English Language Arts and Mathematics for kids. While it might seem like unnecessary overkill to double test 11th graders, it was necessary last year because the ACT was not well-enough aligned to the Michigan’s state standards. 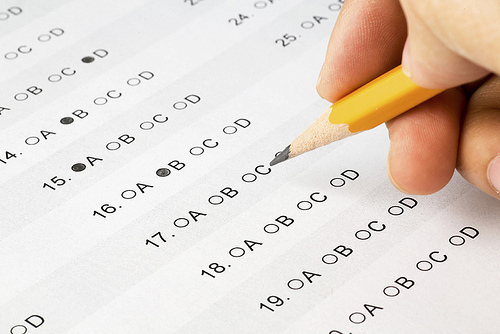 New this year, the ACT is out and the SAT is in as the college-readiness assessment for students. Though the SAT is different than the ACT assessment students are used to taking as juniors, it has been completely updated and is now more aligned to Michigan state standards than the ACT. That is why the MDE has been able to fully eliminate the need to administer a separate test for math and English to 11th graders. 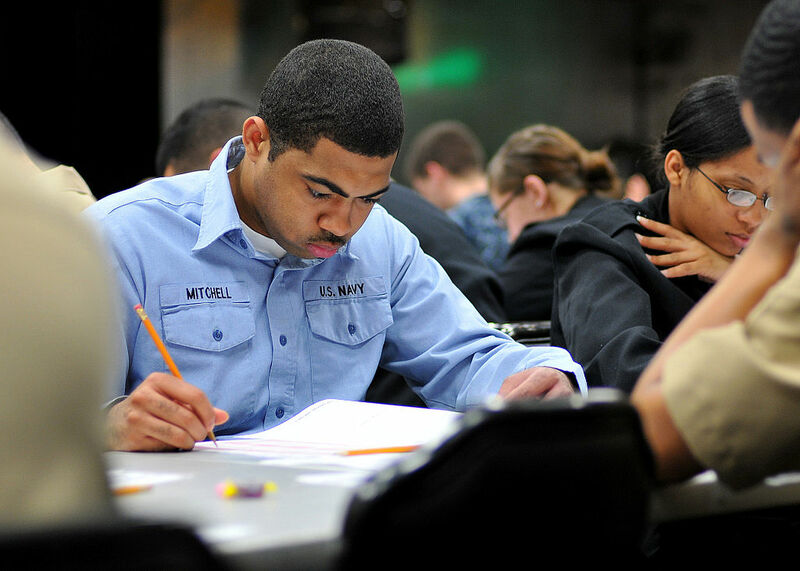 By getting rid of the second test for those subject areas, 11th graders in 2016 will gain back up to eight hours of testing time over the 2015 counterparts. All of the changes to these tests translate to more minutes returned to schools and classroom instruction. At the same time, the test will still be offered in online and paper-pencil formats, which means that there will continue to be multi-day stretches of testing for all students. But for schools who administer the test online, there will be less need to monopolize computer labs for testing purposes, thus less impact on school logistics. Ultimately, the changes made by the Office of Assessment and Accountability will help students, families, and educators by reducing the time taken away from classroom instruction by testing. But most interesting, maybe, is how the Michigan Department of Education has provided a great example of how feedback can be used to inform decisions. They knew that this would be a transitional year in piloting the new M-STEP, but in making these changes based on the input from key stakeholders around the state, they have modeled what all schools can do with important feedback and data that they receive. Perhaps the best lesson learned here is that the MDE has done something that they regularly ask of schools: adjust the course of action based on measures of progress and feedback on present efforts to achieve their goals. Gary is an influential teacher leader with extensive experience educating students at the high school and university level. He is a regular conference presenter, education speaker, and leader of staff development for educators. His classroom practice embraces a collaborative environment centered on constructivist teaching, project-based learning, classroom branding, Modeling Instruction, standards-based grading, and mobile device technologies.